Looking for suitable plants to make Bonsai? 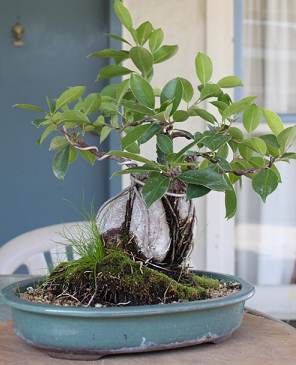 Here is the list of some common plants that make good bonsais and easy to maintain also. Select any of the below mentioned plants and have a great bonsai for your indoor garden. Bonsai is a Chinese art which was redeveloped under the influence of Japanese Zen Buddhism. The meaning of Bonsai is "planted in a container". It is an art which turn the big outdoor trees into the miniature form and you can place them in your indoor garden or place them like any other home decoration. Any plant which has a woody stem or trunk, lots of branches and smaller or reducible-leaves can be used to create a bonsai. 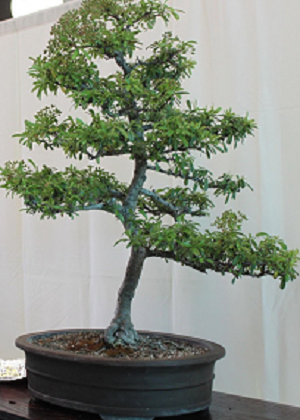 Here is the list of some common plants or trees which can be used for Bonsai. - Banyan Tree also known as common Fig or Chinese Banyan is the great plant to make bonsai. It is good to choose aged banyan tree for bonsai as it has aerial prop roots that hang from it which give realistic visual appeal to a bonsai plant. Banyan trees are good for bonsai for some other reasons also like it can tolerate low humidity levels and dry air because of their thick waxy leaves; you can maintain Banyan tree bonsai very easily. -	Oak Tree is the symbol of permanence. There are two types of oaks English Oak and the White Oak. It has very hard, solid stem and small leaves to give a great impression of a huge, old tree in miniature. Oak tree can survive under difficult conditions as Oak bonsai can tolerate full sun and can suffer diebacks or develop extremely large leaves which make it a perfect choice for Bonsai. It has long life so you can have Oak bonsai as the treasure of a lifetime. - Pomegranate Bonsai looks very beautiful as it has opposite leaves, oval shaped flowers which turn into a yellow/red fruits. Pomegranate trunk twists naturally so it looks very attractive naturally. First you have to find a well shaped specimen with a thick trunk to start your bonsai as it trunk do not thicken once placed in a bonsai pot. You can find many varieties of Pomegranate tree varying in the size, shape and color of the flowers and fruits so choose according to your choice. 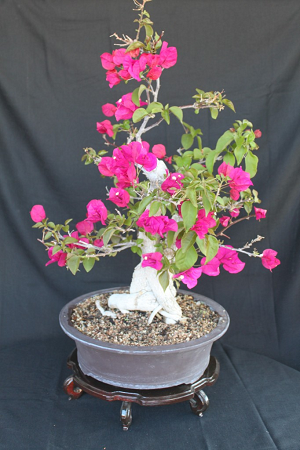 - Bougainvillea is very beautiful flowering tree which is a good choice for flowering bonsai. You can make beautiful floral patterns with thick trunk and an interesting branch structure to get a beautiful bonsai in hand. There are many species of Bougainvillea but the best type used for bonsai is Bougainvillea Glabra which is commonly known as paper flower. You can get your Bougainvillea plant from your local nursery or from a landscape near you. 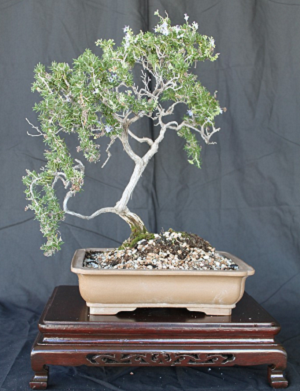 - Chinese elm is also a good choice for bonsai as it has very fine network of twigs and branches with small leaves. Though there are many species of Elm are available but Chinese elm is commonly and widely used for growing Bonsai trees. 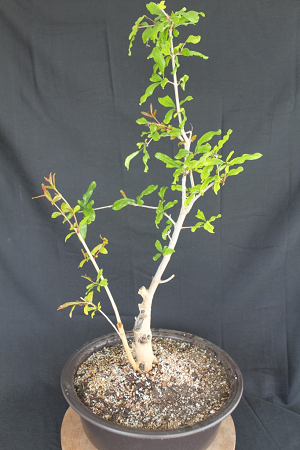 Chinese Elm bonsai can be developed from nursery plants or grown from seed. 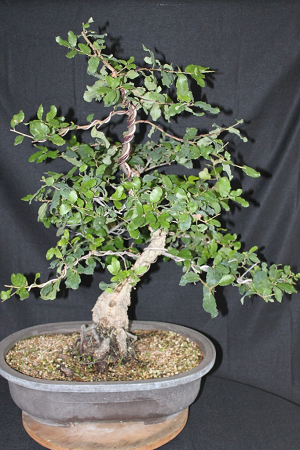 Chinese elm bonsai can survive in any condition because it can tolerate bad soil, over watering, under watering, and can grow in full sun or deep shade which makes it the first choice for bonsai lovers. - Rosemary is very beautiful herb which is also good for bonsai. It has tiny leaves, very beautiful and interesting bark, small purple flowers and the ability to shape and maintain deadwood in short it has all the necessary features to become a great bonsai. You can get rosemary plant Rosemary from the nursery or collect one from the landscape. It is very good choice for Bonsai beginners. -	Olive is evergreen tree which is commonly found in Mediterranean countries, wild olive is the best choice for bonsai among all olive varieties as it has tiny leaves and heavy bark. Where to find olive tree for bonsai, Olives propagate very easily from cuttings so find a mature tree and cut off some foliage and strike cuttings in mid spring. 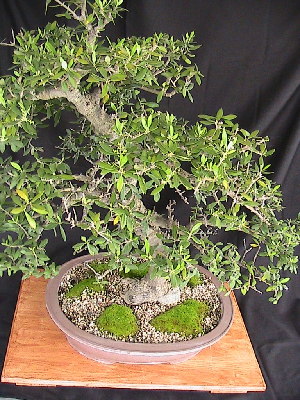 Olive bonsai tree is easy to care and strong as well so it is a suitable choice for use as bonsai. 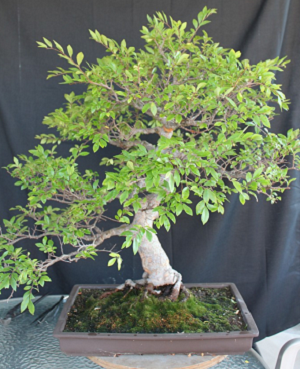 - Privet (Ligustrum) is a first choice for bonsai beginners. It is an ordinary shrub which is very easy to grow as bonsai and even produces striking sprays of white flowers and purplish berries in the fall. 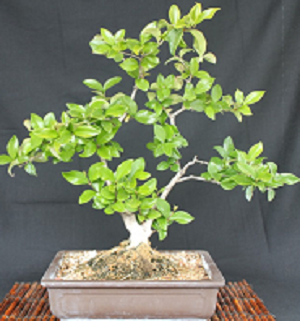 Though there are many species of Privet but only three species commonly used for bonsai are European Privet (Ligustrum Vulgare), Japanese Privet (Ligustrum Ovalifolium) and Wax Leaf Privet (Ligustrum Japonicum). You can grow Privet from seed or from the nursery. -	Juniper is a coniferous plant; it is so versatile that you can shape a Juniper plant into just about any style of bonsai. 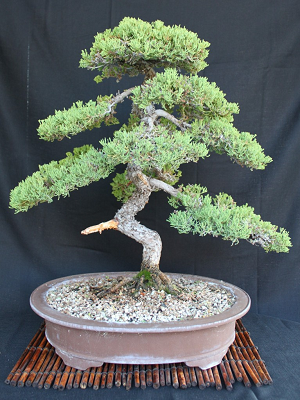 Junipers are easy to shape and if you get it from nursery than you get lot of branches which makes it easy to shape it into a bonsai. It has many varieties and popular as ornamental plants in gardens. It is good to select a tree which has thick trunk and some strong upper branching that you can use to create the top of the tree. - Japanese maple is a very beautiful plant which shaped like a hemisphere or takes on a dome-like form especially when mature with 5-lobed lacy leaves. Maple leaves are green, and color red and orange in autumn. It is very strong tree and can be used for Bonsai. 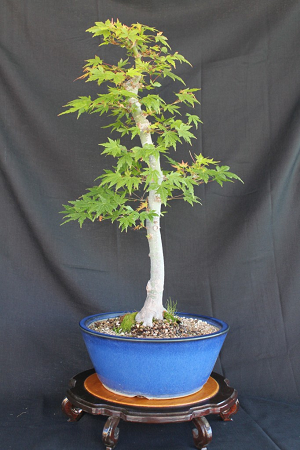 Where to get Japanese maple for bonsai, you can get Japanese maple from the nursery. -	Pyracantha is thorny evergreen large shrubs which produces white flowers and have either red, orange, or yellow berries in late autumn. It is a valuable ornamental plant which is grown in gardens for their decorative flowers and fruit. You can collect Pyracantha from old hedges and landscapes near you. Pyracanthas can be shaped into almost any bonsai style. - Satsuki azalea is mostly cultivated by Japanese from centuries. It is a very good choice for Bonsai as Satsuki azaleas have good branching structure and are naturally small in size and the wide variety of colors and patterns in the blossoms attracts many bonsai lovers. 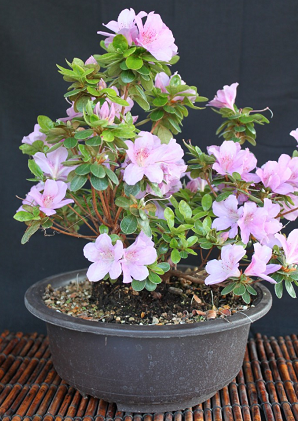 You can find Satsuki azalea in bonsai nursery or a specialist Azalea nursery will carry a selection of Satsuki Azaleas. It can be ordered online and shipped in the winter months. There are many other trees also which can be used for bonsai. You just need a little creativity and learn the bonsai techniques to get your own bonsai plant.